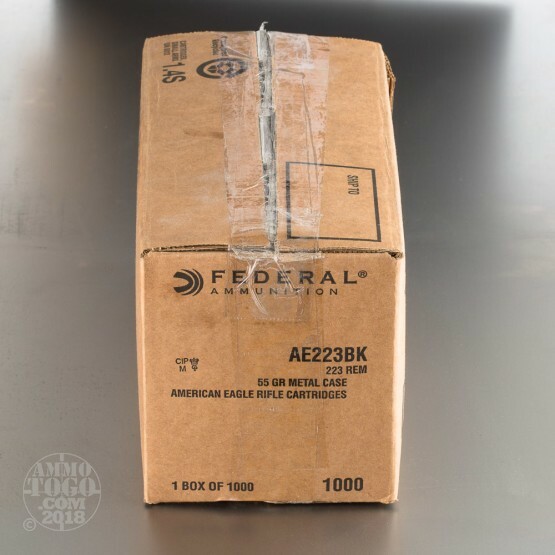 This is .223 Federal American Eagle 55gr. Full Metal Jacket Boat Tail Ammo. 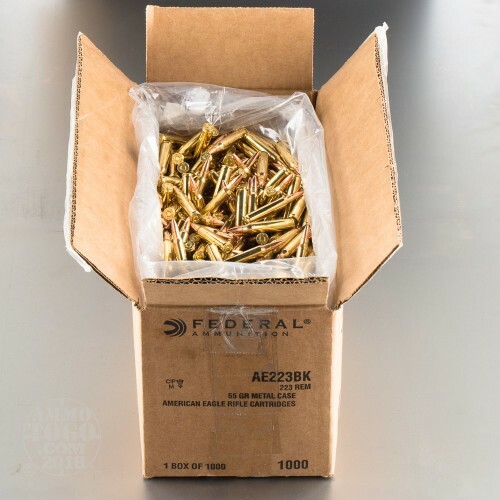 This ammo is manufactured using Federal Mil-Spec brass and bullets. This ammo contains a crimped in sealed primer and the case mouth is sealed and has a 55gr. cannelured bullet. It is brass cased, boxer primed, and 100% non-corrosive. It is bulk packed in a 1000rd. case. Have bought 2000 rounds of this ammo for my Colt LE6920. It fires flawlessly. no jams, no misfires. I'm nailing 4" targets at 100m with iron sights. bulk packaging a plus in my eyes. Will definitely purchase again. Have run 1500 rounds thru two different MSR's. Wife and I shot 3 day, 3-gun with 10 stages last weekend. 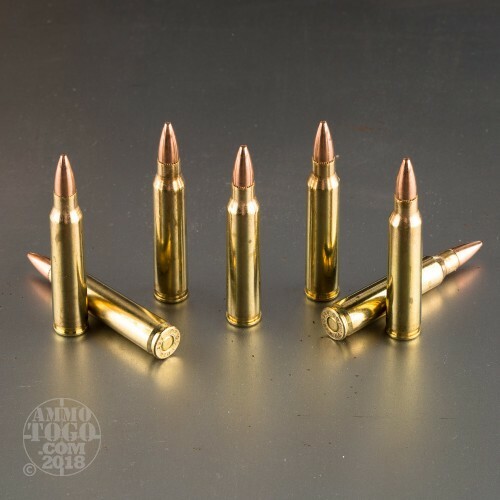 Ammo performed flawlessly 2-450 yds, no failures at all and left rifles amazingly clean. This a very good sporting ammo. Over 2000 rds in training between me and my two sons, 3 different AR platforms, not a single failure to feed or fire in last two years. Cannot believe how fast the product was shipped. This is my second order and I feel confident this will not be my last. The prices are hard to beat. Just what I wanted and got it much sooner than I thought. Was told by friends that you shipped things fast now I know it is true. Will be ordering more soon. Great round and great price. Use at the range all the time.